The size of your home is another thing to consider when it comes to choosing a suitable design, a smaller room might need some hidden storage to save some space. First consideration in selecting a home design is choosing a floor plan that suits your lifestyle. It’s essential to ask yourself what room should it be, is it a study room, bedroom or storage room? Determining this will help you in pick the perfect layout for your room. Color plays an important role in a room design whether you want it bright, fun, feminine, pastel or classy. It’s your personal choice to choose a palettes that works for you. According to some studies, colors can affect your memory and emotion. Greene, Bell and Boyer further explained that warm types of colors such as yellow, red and orange have greater effect on attention, compared to the cool type of colors like brown and gray(source from blog.edynco.com). 4. Furniture : Use existing or buy new? Your existing furniture might be outdated but there is always some creative DIY tutorial guiding us on how we can re-purpose it or make a brand new look by repainting it. If your existing furniture has reached the end of its life time, buy a new one while ensuring the quality of the new one. A new furniture should be strong and able to withstand weights. Finishes!!! One of the most popular material finishes for floor structure is wood floor finishes. The reason behind this is that wood color goes right with everything and there is so many color tone option for that you can choose from. Determining the location of the window allows you to make a good use of the window, such as you can locate a space for window bench with storage which create an additional comfort corner to your room. 6. Lastly, know your budget. Check the price! Personal budget always comes first before your purchases. Determine your costs that fits your budget to ensure that you don’t spend over your budget limit. One of the ways to do so is you can request for quotation before agreeing to the purchase. Make wise purchasing decision while designing for your home. Now, you can make your home design decision after considering all these steps. 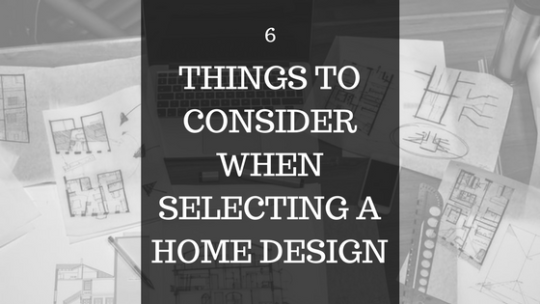 We hope this helps you in your next purchase/design decision for your home.